Just about every car owner should have a diagnostic scanner. Not only do they help to keep you safe by scanning your car for problems, but they also save you time and money you would have spent at the shop getting it looked at. When you own a specialty car like an Audi, VW, or Skoda, not just any old scanner will do. These models have unique manufacturer codes that require a specific type of device to be read. One of these devices is the Creator c503, and below we’ll tell you everything you need to know about it. 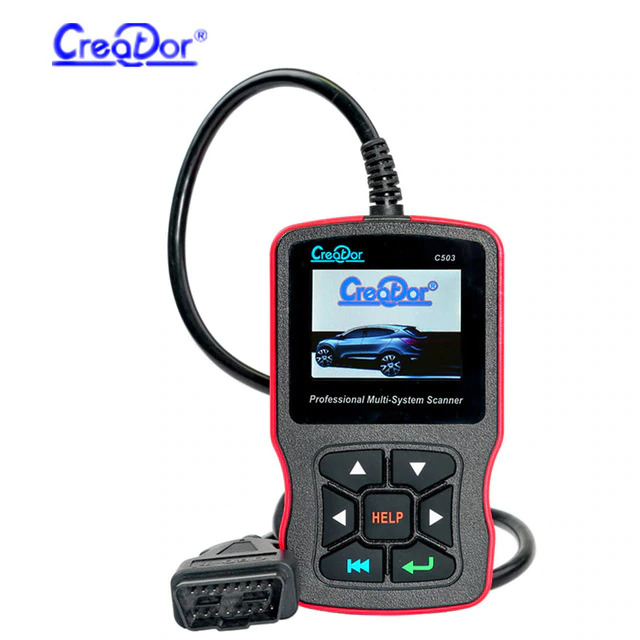 The Creator c503 is a specialty diagnostic scanner that works with Volkswagen, Audi, Skoda, or SEAT brand cars. It allows you to perform a complete scan of your car or truck’s engine, brakes, airbags, ignition system, emissions, and more from a single device. If you have another car that isn’t one of the 4 specialty brands, it can still scan and read the engine. Once it discovers errors, it’ll tell you what needs to be addressed or let you clear the code if it’s not important. The scanner is powered through the vehicles’ ODBII port with the attached 16-pin cable. Simply plug it in, choose what you want to do, and have the information streamed live to the display in no time at all. The Creator c503 is for anyone who owns a Volkswagen, Audi, Skoda, or SEAT vehicle. Although it supports engine scans and CEL clearing for OBDII cars and trucks, it doesn’t perform full system scans for them, so you’d be better off getting a general scanner. If you have both a OBDII car and one of the 4 brands above, the versatility and integration of the c503 makes it an even better choice. Outside of the scanner and the attached cable, there isn’t much else needed to operate the c503. The package comes with a carrying case that will hold the scanner, cable, user manual, and card reader USB and SD card so that you can update the device through your PC. If you’ve got an additional vehicle that doesn’t fall into one of the 4 specialty brands, you can still use the c503 to scan the engine of any OBDII car or truck. However, the additional system support doesn’t apply to these models. After your scan is chosen, the diagnostic information will be relayed to the device’s bright 2.8” display where you can check diagnose and address any problems. As you work, the live data stream will update the scan status so that you don’t have to rescan after each fix and you can monitor it as you work until you find the right fix. You never have to worry about the c503 becoming obsolete because it can be updated thanks to the SD card and USB reader provided. Simply download the updates to the SD card and insert it into the device to update software and firmware so that it’ll last the life of your car. 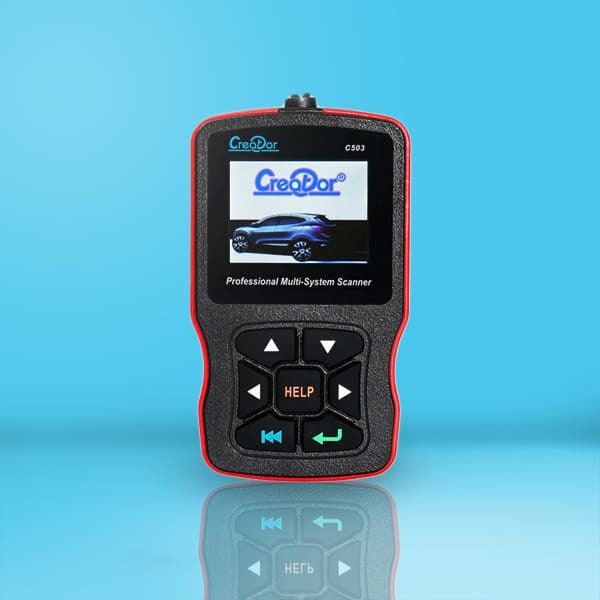 The C50X range from Creator focuses on addressing the scanner and diagnostic need of specialty car owners. Rather than taking it to a shop, the Creator c503 allows even beginner DIYers to diagnose their own problems, clear codes and CELs, and more with just a few button presses. Its comprehensive full system scan for Volkswagen, Audi, Skoda, and SEAT-brand vehicles makes it a solid choice for DIYers of all experience levels and even for quick scans at a small garage that sees these brands of cars often. With exceptional functionality, support for a wide array of cars, and a beginner-friendly interface and price, the Creator c503 is a worthy consideration for your VW, Audi, Skoda, or SEAT.